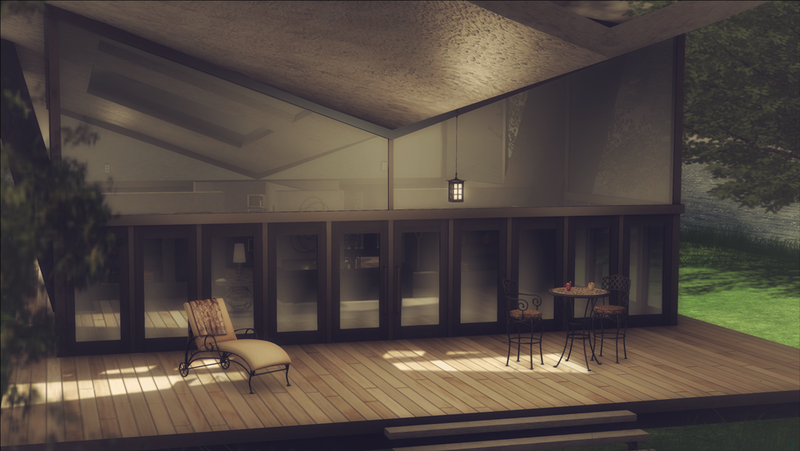 So I have spent the last few hours trying to think like a minimalist, and I think I got it this time around……so without further ado here are some amazing items available at The Garden, one of the fantastic three events from The Liaison Collaborative. 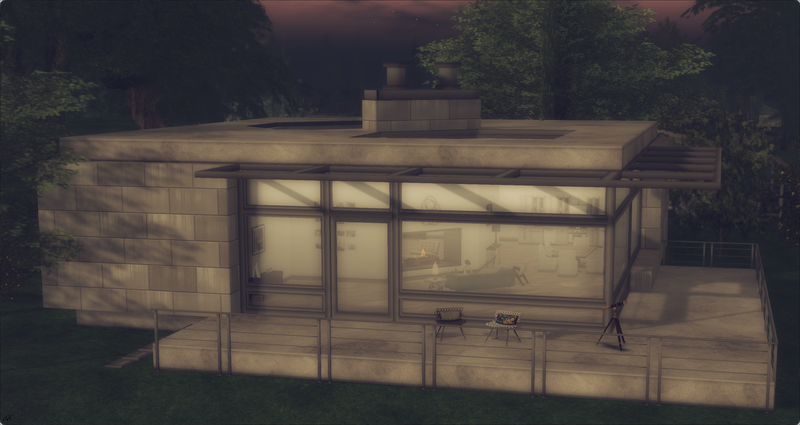 The Angolo House is simply fabulous, geared up with amazing windows from three sides including the roof top windows as well, this house is made for shadow play and boy did I have fun playing this am. There is a master bath off the bedroom to fill up too. 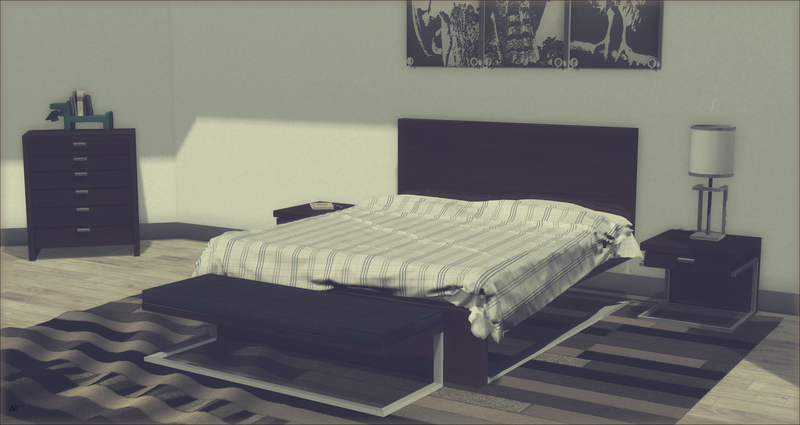 I have the brand new Adult Dark Minimalist Bedroom Set from +CONVAIR+ out, you can play around with not only the many poses in the bed and bench, the bed and rug are both texture change, which you know I just adore. The Vincent Set from Atelier Visconti is top notch! Both the Sofa and Rug have an included hud to change up to six pretty colors and you can even change-up the color of fringe on the rug, love, Love, LOVE this set to death, an absolute must have! Have an amazing day and head on over to the Fall and check out The Garden and The Boutique as well as Poser Pavilion yes?! Mina has this very beautiful mesh and materials ready Nikky style out for TDR Fusion. Now this is a fabulous deal as Nicky is still a newer style from Mina, she is available in Black & White or Essentials Hud which carries a few different colors. Grab her up quickly! I am sitting on Trompe Loeil’s Mesh Ines Chair available at FaMESHed, but I decided to go with an amazing pose from my dearest LouLou Teichmann, The Bauhaus Movement has a wonderful assortment of poses out for this round of Collabor88 including Grace which I am using. Which reminds me to *wave to Grace* if she is reading this, an older friend who has just returned from a very long break to sl and I am overjoyed to see her back!